"Roofing - We Do It Right"
Jeremy Dumanovsky Roofing has been a roofing contractor for over 16 years and specializes in solutions for residential homeowners. We consider ourselves to be the best roofing company in Corvallis Oregon, with a proven track record for quality materials and workmanship. We take pride in our quality, service, and value. When you get an estimate from us, you will meet the owner of our company and be able to have all of your questions answered by one of the most qualified and experienced roofing contractors in Corvallis Oregon. We know you are looking for roofing companies with quality work in Corvallis Oregon. Give us the opportunity to demonstrate our expertise and value. Estimates are Easy! Our NO-OBLIGATION FREE ESTIMATE process is friendly and fair, with no pressure. We have a large selection of choices of roofing styles. We give you options and education so you can make an informed decision. We are the affordable roofing company in Corvallis Oregon that truly cares about you and your home. Jeremy Dumanovsky was first licensed as a contractor with the Oregon CCB in April 1998. Our company incorporated in 2004 and became Jeremy A Dumanovsky Construction, Inc. We are a local, family-owned business that specializes in roofing and has been serving Corvallis Oregon and the mid-Willamette Valley since 1998. Our Business Is All About You! We truly care about our customers in Corvallis Oregon and do not treat you like “just another roofing job”. We seek to meet or exceed the expectations of our customers and look forward to showing you why! We are accredited with the Better Business Bureau and have an A+ rating. Our skilled craftsmen get the job done while taking precautions to protect your home or landscaping from damage. They clean up at the end of every day and respect your home. Our roofers are well trained, pay attention to detail and take pride in their work. We are in good standing with the Oregon Construction Contractors Board and the Better Business Bureau. We are licensed, bonded, insured, and have workman’s compensation. When you have your new roof installed by us in Corvallis Oregon, it comes with our labor warranty and the manufacturer’s material warranty (please ask us for details). Read what some have said about us as an example of our reliability and quality of work. Our lower pitched roofing options include standing seam metal, several types of vinyl and granulated membrane products, as well as fiber asphalt emulsion products. We offer our knowledge and experience with all of these types to help you in your choice of what works best for you. Benefits include a large variety of choices and styles. Metal Roofing can be a very wise choice for your roof. Among metal roofing companies, Jeremy Dumanovsky Roofing is known as one of the best metal roofing contractors in the area. Because we are experts on metal roofing, we can help you avoid costly mistakes and installation errors. Skylights and solar tubes have become increasingly popular, especially with the energy saving features of solar tubes. 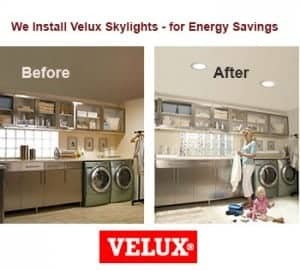 We are experts at solar tube installation and proudly recommend VELUX Rigid Sun Tunnel Tubular Skylights. Roof repair and moss removal will extend the life of your roof. The repair and maintenance need on every roof is different but is very necessary to enhance your home’s appearance and protect the value of your home in Corvallis Oregon. Talk to us about your roof and we will provide the perfect cost-effective, roof-enhancing solution tailored to your needs. Jeremy Dumanovsky Roofing can help keep your existing roof performing its absolute best with our economical custom solutions. We carefully check for dry-rot, wet-rot and pest infestations under your existing roof. You want the best roof repair in Corvallis Oregon – let us help you avoid leaks, structural damage, and conditions that can void your roof’s warranty and affect your family’s health. Looking for the best contractor in Salem Oregon for your roofing needs? Call us at 503-540-9898 or stop by our office and showroom at 2245 Commercial St NE Salem Oregon 97301. Our Office hours are 8:00 am to 5:30 pm Monday – Friday. We can also do estimates after hours or on weekends by appointment. Let us show you why we are the best roofing company in Corvallis Oregon.